National Bird follows the dramatic journey of three whistleblowers who are determined to break the silence around one of the most controversial current affairs issues of our time: the secret U.S. drone war. At the center of the film are three U.S. military veterans. Plagued by guilt over participating in the killing of faceless people in foreign countries, they decide to speak out publicly, despite the possible consequences. Their stories take dramatic turns, leading one of the protagonists to Afghanistan where she learns about a horrendous incident. But her journey also gives hope for peace and redemption. 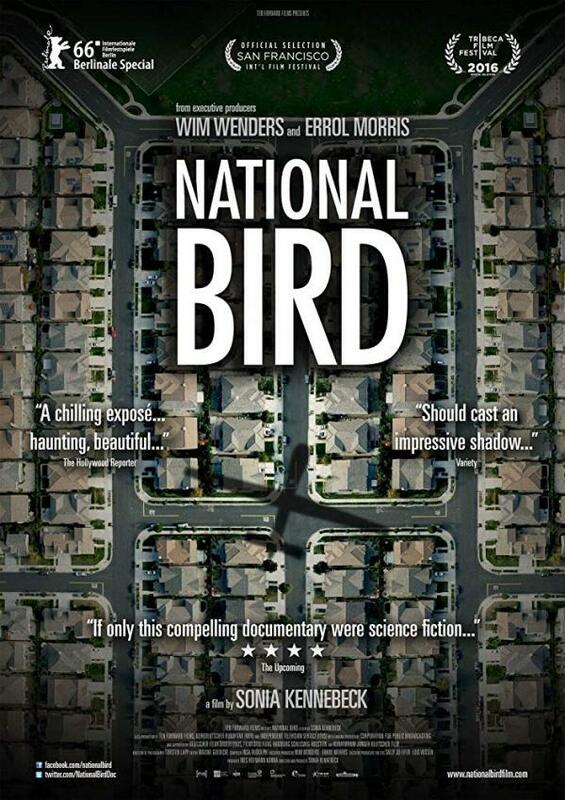 National Bird gives rare insight into the U.S. drone program through the eyes of veterans and survivors, connecting their stories as never seen before in a documentary. Its images haunt the audience and bring a faraway issue close to home.